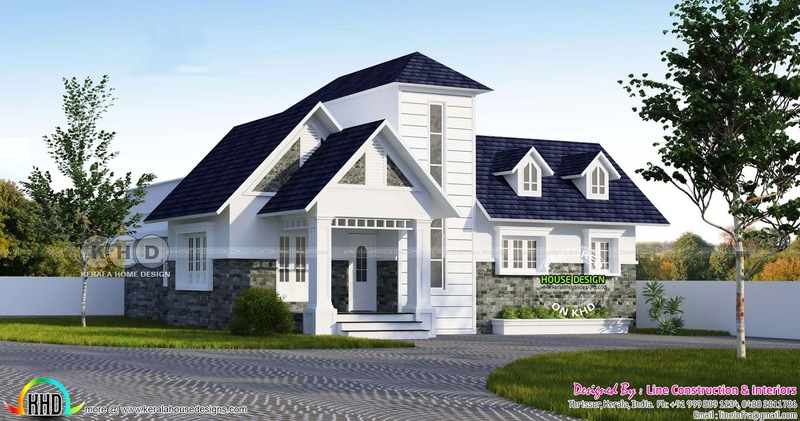 1500 Square feet (139 square meter) (167 square yards) 3 bedroom single floor European model sloping roof house architecture. Design provided by Line Construction & Interiors, Thrissur, Kerala. 0 comments on "Double storied look like single floor European model home"